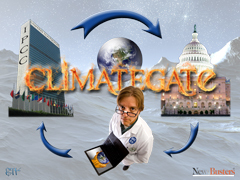 Did Russian Secret Service Leak ClimateGate E-mail Messages? British newspapers reported Sunday that the e-mail messages involved in the growing ClimateGate scandal may have been leaked to the world by the Russian secret service. Russia – one of the world’s largest producers and users of oil and gas – has a vested interest in opposing sweeping new agreements to cut emissions, which will be discussed by world leaders in Copenhagen tomorrow. The University of East Anglia's Climate Research Unit (CRU) in Norwich confirmed today that e-mails and documents dating from 1991 to 2009 were illegally copied and subsequently published on an anonymous Russian server. A link to the Russian server first appeared on 19 November on a relatively obscure climate-sceptic blog. The server was shut down just hours later, but the stolen material had already been distributed elsewhere on the Internet. At around 6.20am (EST) Nov 17th, somebody hacked into the RC server from an IP address associated with a computer somewhere in Turkey, disabled access from the legitimate users, and uploaded a file FOIA.zip to our server. They then created a draft post that would have been posted announcing the data to the world that was identical in content of the comment posted on The Air Vent later that day. They were intercepted before this could be posted on the blog. This archive appears to be identical to the one posted on the Russian server except for the name change. The Mail on Sunday understands that the hundreds of hacked emails were released to the world via a tiny internet server in a red brick building in a snow-clad street in Tomsk. The original internet link was quickly removed after the information spread from it like wildfire on to international websites. A message written in English accompanied the leaked package of emails. It read: ‘We feel that climate science is too important to be kept under wraps. Tomcity – the server – and Tomline, its parent company, were unavailable for comment yesterday. The firm offers an internet security business to prevent hacking and bugs and the ‘compromising of confidential information’. Other divisions of the firm are involved in laying the cable which provides high-speed internet access to companies in the Siberian city. The server is believed to be used mainly by Tomsk State University, one of the leading academic institutions in Russia, and other scientific institutes. So-called ‘patriot hackers’ from Tomsk have been used in the past by the Russian secret service, the FSB, to attack websites disliked by the Kremlin, such as the “denial of service” campaign launched against the Kavkaz-Tsentr website, over its reports about the war in Chechnya, in 2002. Is Russia behind this leak in order to thwart the climate change conference in Copenhagen? Will American media get on the investigation train and start looking into these allegations?